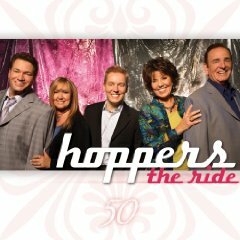 Formed by Claude Hopper, along with his wife Connie in their native North Carolina , the Hoppers began to hit their stride as a family performing unit in 1981. It was then that their oldest son and drummer, Dean, became a frequent lead vocalist, they added their youngest son Mike to the mix as the drummer and things started to happen - winning two consecutive Mixed Vocal Group awards at the Southern Gospel Music Awards in 1982-1983. In 1989 Dean's wife, Kim, officially joined the group and became perhaps their most recognizable voice. 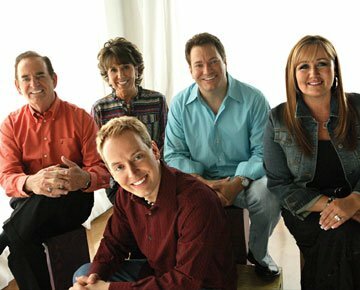 In 1990, the Hoppers scored their first major hit single with "Here I Am," touching off a long string of successes that also included "Milk and Honey," "Mention My Name," "Anchor to the Power of the Cross," "Heavenly Sunrise," "That's Him," and "Yes I Am." In the midst of that string in 1996, Mike Hopper's new wife Denice joined the group as a pianist. 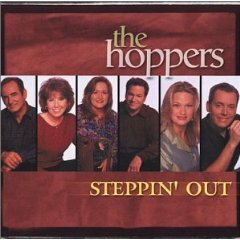 In addition to their radio success, The Hoppers have enjoyed other national recognition including representing southern gospel music at the Religious Inaugural Celebration for President Ronald Reagan in 1981, a national rally to restore prayer in the public school system, and being part of the original Singing At Sea Cruise, which first sailed in 1974 and which they continue to be a part of every year since. One of their best known songs, "Shouting Time" was performed for a Bill Gaither's video on June 27, 1998 resulting in touring with the Gaither Homecoming show and playing to more than 900,000 people a year in most major sports arenas around the country.